Special Show - Vanity Whites Final show! ****This is a 21+ ONLY Event, unfortunately due to the liquor laws in our state and the license the establishment has we are not able to accommodate anyone under the age of 21. *Premium seating: We are an over the top raucous show with an intimate theater. ALL of our seats have a perfect sight line and fully immerse you in our show and all of its fun!. *Special note: Seating is family style and you may be seated with people from another party. ***Special note III: We try to have our mini musical run EVERY show but there are dates where the Mini Musical will be preempted. ** The Unicorn/Narwhal IS wheelchair Accessible, simply have someone in your party inform the upstairs Bartender and they will provide access to the elevator. 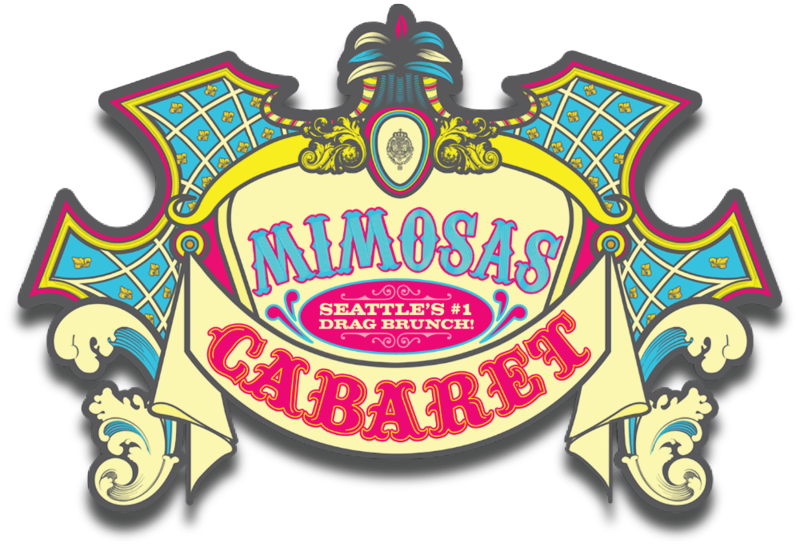 Skyscraper Entertainment presents "Mimosas Cabaret", Seattle's Longest Running and #1 Weekly Drag Brunch. Think of “Mimosas Cabaret" as dinner theater during the day, it’s Brunch Theater! We feature a full bar, breakfast buffet (additional and paid at the bar) and Drag Queens! What more could you ask for on a Sunday? “Mimosas Cabaret - was awarded "Best Theater Group" in 2014 and 2015 by King 5's Best of Western Washington Viewer Poll. We changed the game a few year back when we introduced 30 minute musicals, such as, 30minute Hairspray, DReamGirls, Mama Mia, 9-5ish, 30 minute Little Shop, 30 Minute Chicago and 30 minute Cabaret and have never looked back! Sometimes we have even been known to introduce 15 minute micro mini musicals into the mix, you really do never know what show we will be playing next! Come to “Mimosas Cabaret” and celebrate your Birthday, Anniversary, Wedding, and Special Occasion or just come spend your Saturdays and Sundays the right way, Fierce and Fabulous!" Let the cast of "Mimosas Cabaret" take you on a crazy, wild, fun journey you never knew you wanted to take. It's comedy, lip syncing, live singing, performance art, audience participation, great food, fabulous drinks and Fierce Queens all rolled up into 1 fabulous show!